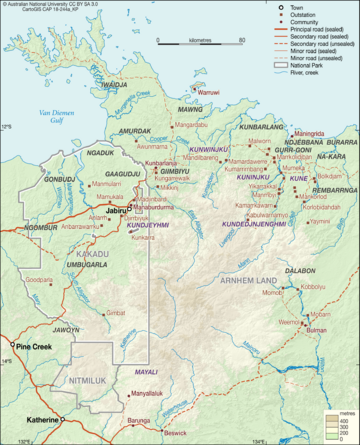 This site hosts materials to support learning of the Kunwok language of Kakadu and West Arnhem, Australia. It has been created by learners for learners. We focus on Kunwinjku, the main dialect, spoken in Gunbalanya. To post comments on these wiki pages, please sign up for an account using the link at the top right. If you would like to contribute to this site please email Steven Bird. The materials on this site have been compiled by Steven Bird and Alexandra Marley.